Awarded to the NOC/NRC in conjunction with the US Open on March 25-26 on the Nantahala River near Bryson City, NC. Awarded to Denny Adams/Great Blue Heron Canoe Club. The dates are April 16-17 on the Colorado River near Glenwood Springs, CO. The Eastern and Western Junior Team Trials will determine the members of the 2011 US Junior Wildwater Team. These athletes will be eligible to compete in the Wildwater World Junior Championships on July 25-31, 2011 in Opava, Czech Republic. Awarded to Jack Ditty. To be held on the Russell Fork River near Elkhorn City, KY. Jack is working with the US Army Corps of Engineers to try to arrange for a special release in August (26-28). If that can't be arranged, the event will be held during the normal scheduled release on the third weekend of October (15-16). 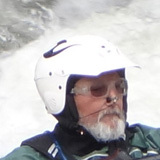 The Senior Team Trials will determine the members of the 2012 US Senior Wildwater Team. Awarded to FIBArk. To be held during FIBArk (June 15-19) on the Arkansas River in Salida, CO.
Stay tuned to USAWildwater.com for more information about each of these events.